Bullseye! That awesome shot will love our Color Darts Plaque! 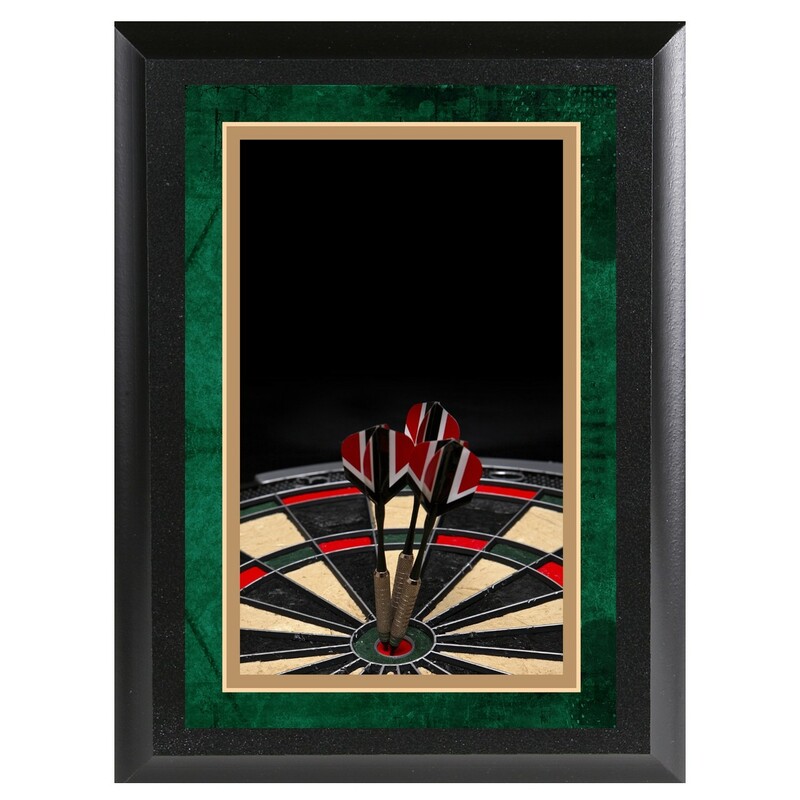 This colorful darts plaque features a realistic dart board image and is awaiting your personal engraving. Available in two sizes, 5"x7" or 6"x8", this throwing darts plaque is great for teams, tournaments, and even league sponsors!